It's America's favorite beverage! This great standard from the '40s regained the spotlight in the Manhattan Transfer version from 1975. 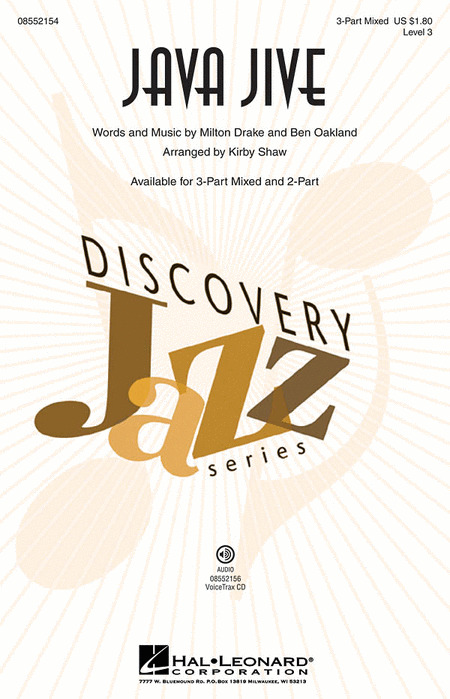 This well-crafted Discovery Series arrangement will showcase your young singers at their swingin' best! Available separately: 3-Part Mixed, 2-Part, VoiceTrax CD. Duration: ca. 2:40.